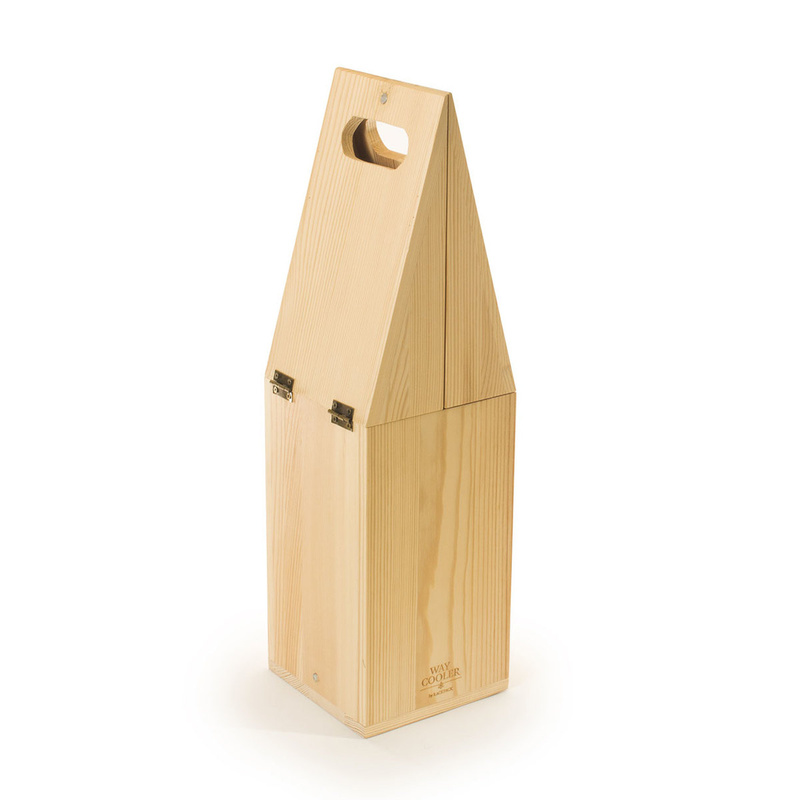 Waycooler is a wooden gift box for a bottle of wine with a cork interior. 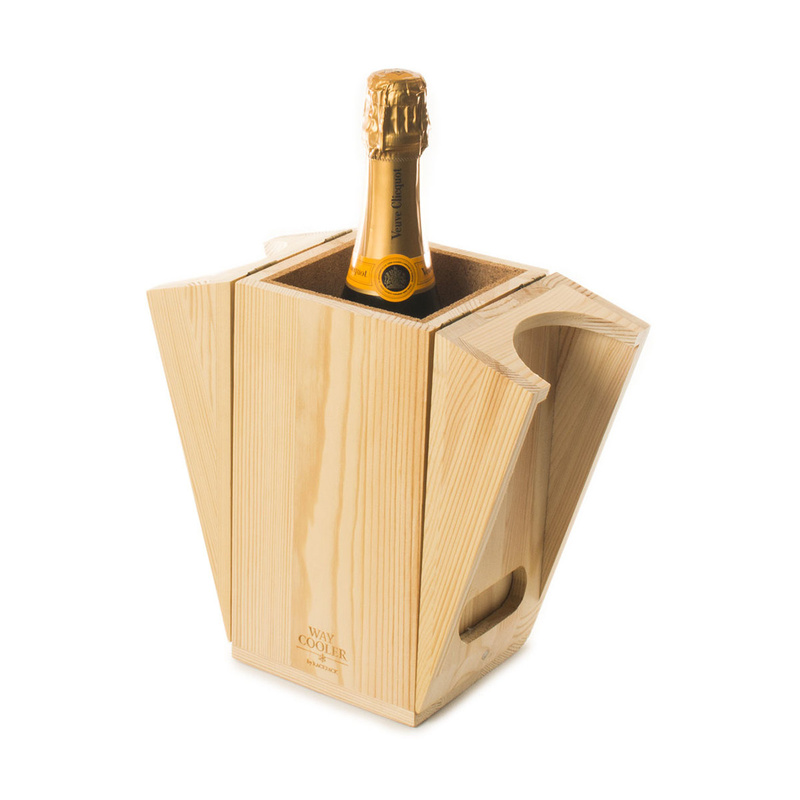 So, made from natural material, it keeps a bottle cool for 1.5 hours. 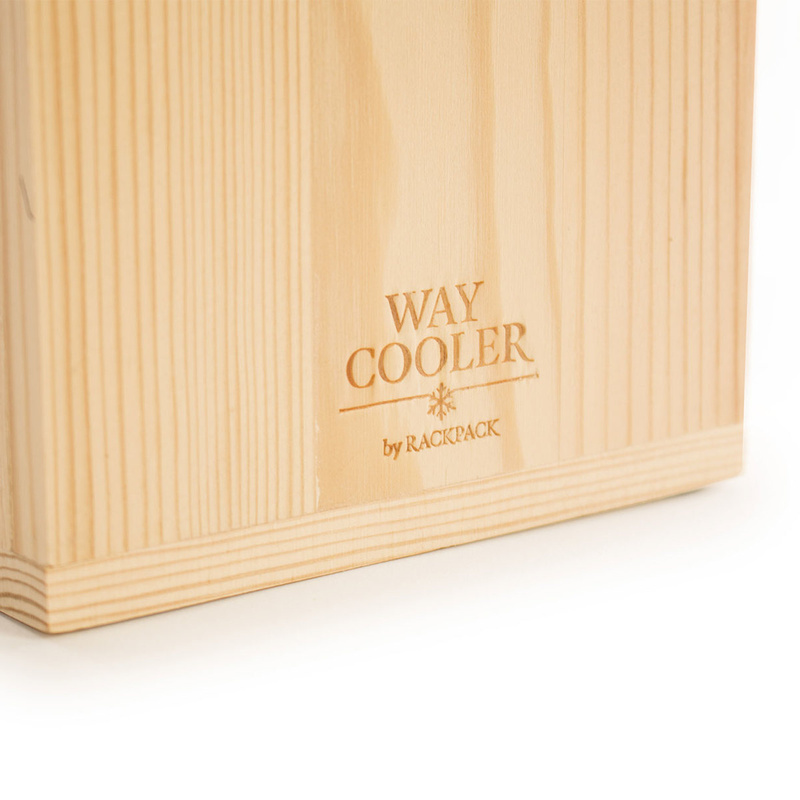 That's waaay cooler! 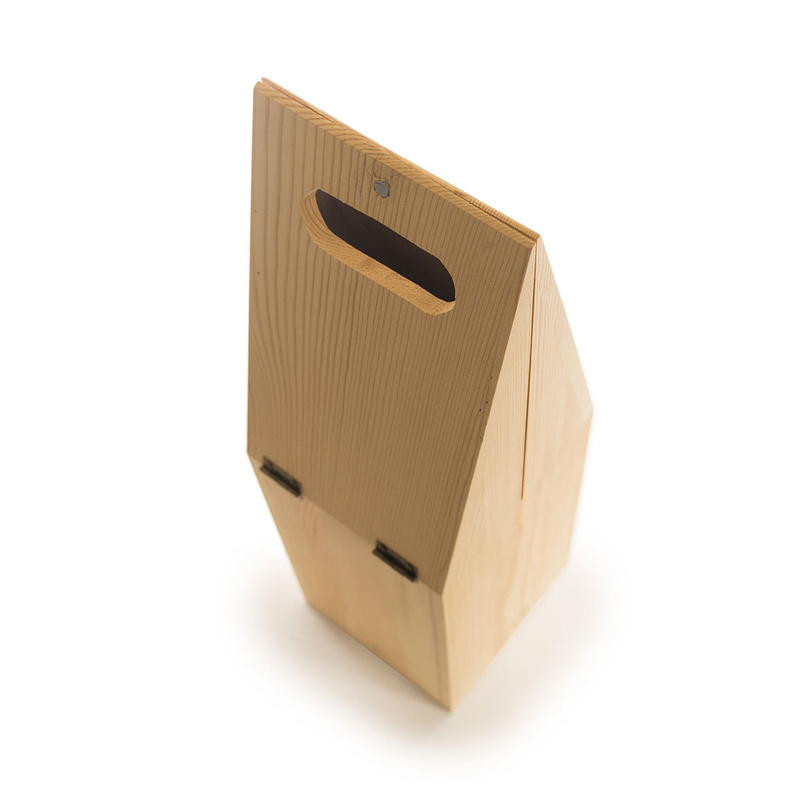 Don't be fooled: the Rackpack may look like an ordinary wooden gift box for a nice bottle of wine, but in just a few flips it becomes a smart and elegant wine rack. 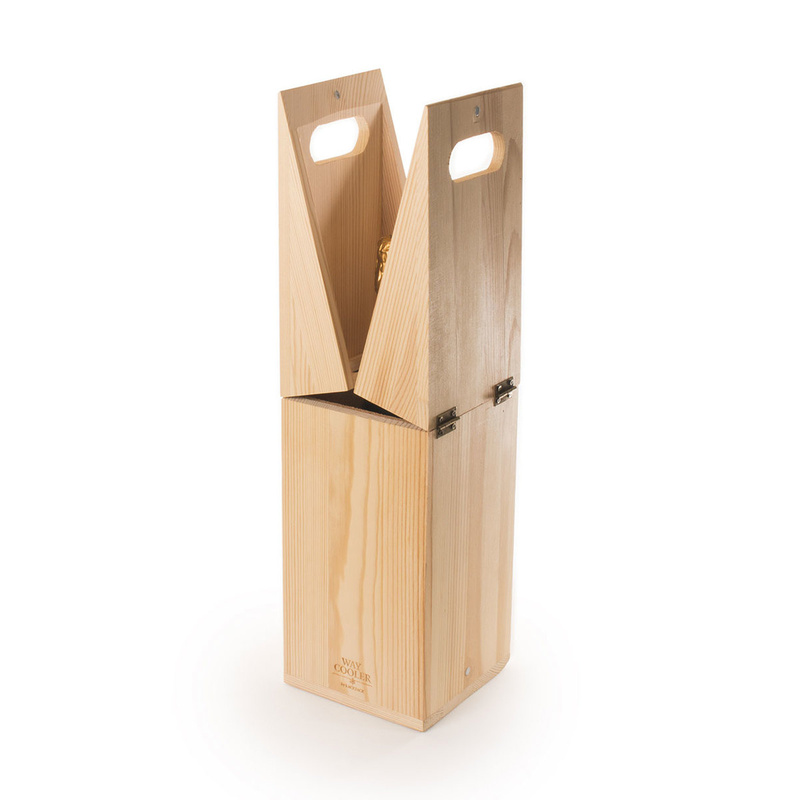 With three different ways to use it, it's the ideal solution for wine and design lovers to hold and display up to 3, 6 or 12 bottles of wine with little more than a flick of the wrist.